There are at least three principles that can describe the nature of the “creativitized” curriculum. The content is organized around key ideas and questions that can be viewed from multiple perspectives. 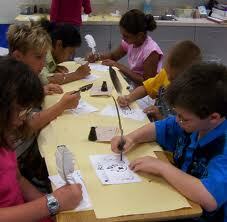 Where possible, it includes information about the creative methods of the discipline being taught. The methods include instructional techniques that require students to ask questions, generate varied options, and consider multiple perspectives. Activities ask students to represent information in multiple forms, using varying media and points of view. Assessment includes multiple formative and summative assessments, including some that offer choices and use content in new ways. How does this apply to assessment? The same questions can be helpful in designing flexible formative and summative assessments. Assessment for Creativity, that is, assessment that is supportive of creativity. It has at least three characteristics. Assessment for creativity builds intrinsic motivation through a sense of increasing competence. This requires the wise use of diagnostic and formative assessments, as well as appropriate feedback. Assessment for creativity provides opportunities to use content in new ways, through examining multiple perspectives, solving problems, and applying ideas in original situations. Assessment for creativity builds intrinsic motivation through the use of choice and meaningful tasks. If you’d like to read more, see the Assessment for Creativity page. Content that supportive of creativity will include both 1) content built around key ideas and 2) content that emphasizes the investigative methods of disciplines. A good place to begin consideration of content organization focused on key ideas is the Teaching for Understanding information of the ALPS website at Harvard. But, of course, don’t forget the investigative strategies as well. Currently, I’m collecting lesson ideas that use the above principles to “creativize” curriculum based on the Common Core State Standards. I would love to add your ideas to the collection–and the blog. I’d particularly welcome contributions from readers of Creativity in the Classroom. It is wonderful to hear from you!